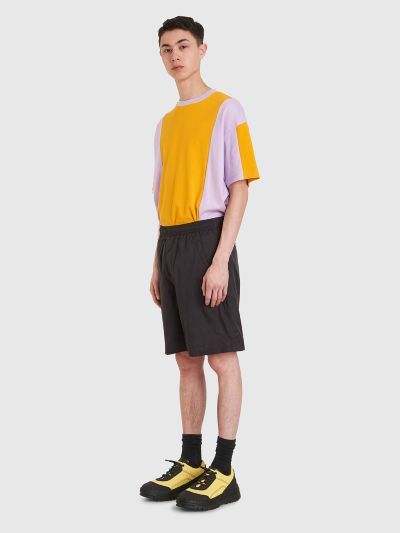 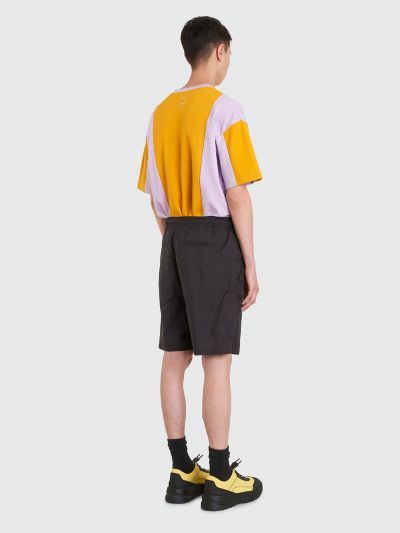 Shorts from Acne Studios. 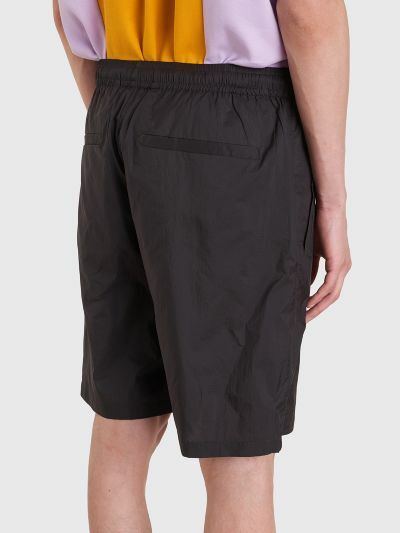 Made from lightweight nylon ripstop with mesh lining and features an elastic waistband with drawstrings, two slanted front pockets, a jetted back pocket and tonal logo print on the front. 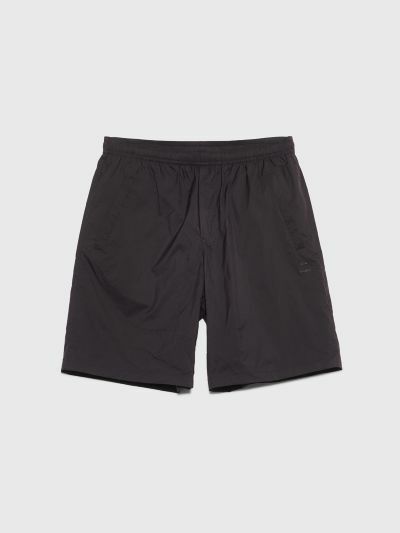 Black shorts. 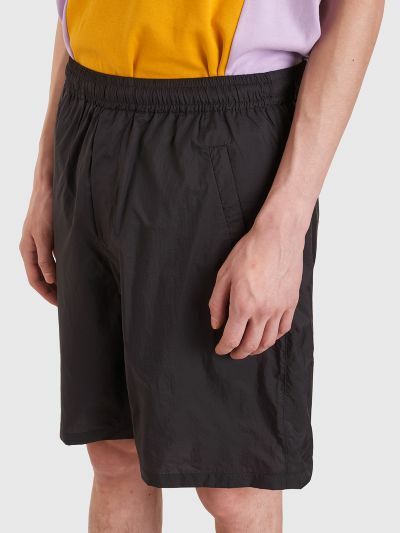 Made from 100% nylon.